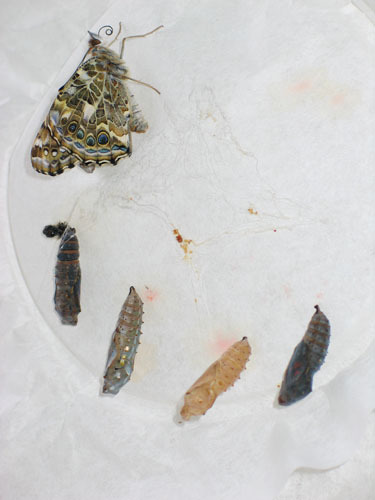 The stages of development of the Painted Lady butterfly (Vanessa cardui) from egg to larva to pupa (Chrysalis) to adult are shown here. 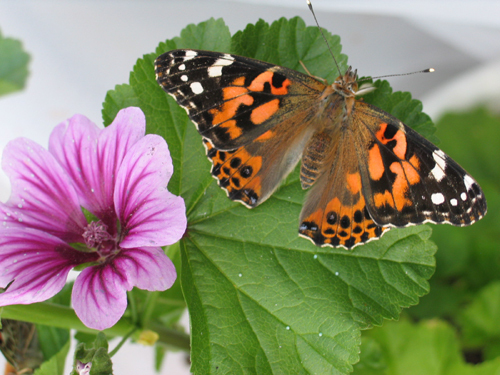 Painted Lady butterfly on a malva plant in bloom. 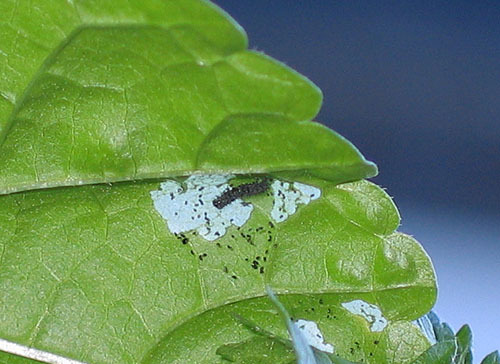 Tiny blue painted lady eggs have been deposited by the female on the leaf. Painted Lady caterpillar munching on a malva leaf. 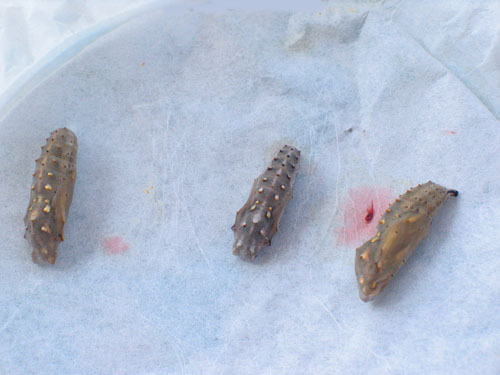 Painted Lady caterpillars (about three days old) on a special diet food. This special diet comes with our classroom kits. Painted Lady pupa has lovely golden spots. 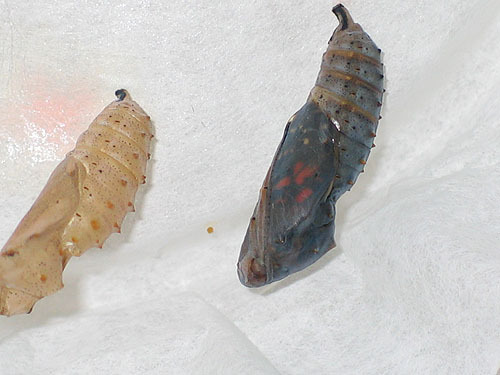 The pupa turns dark before adlult butterfly emerges. 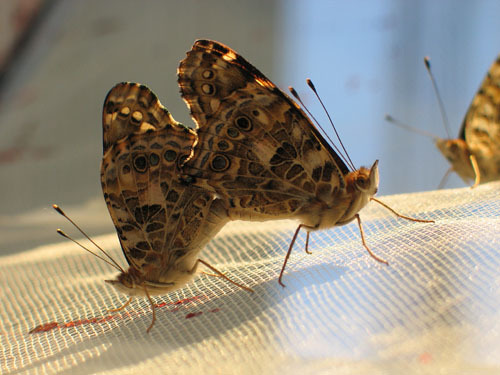 Can you see the wing inside? See it's little proboscis curled up? 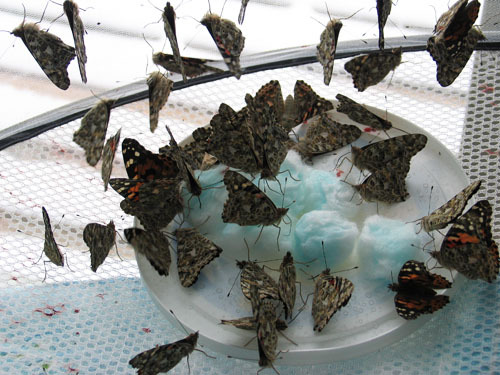 Painted Lady butterflies nectaring on nectar soaked cotton balls. 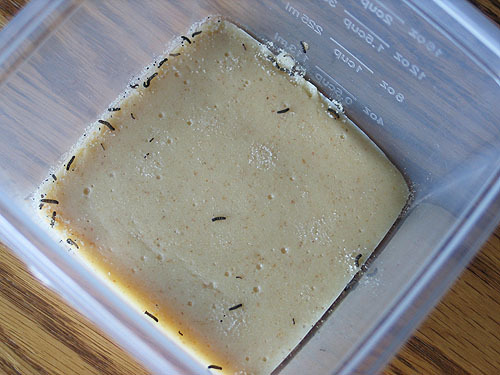 They will nectar on slices of fruit such as watermelon and orange as well. 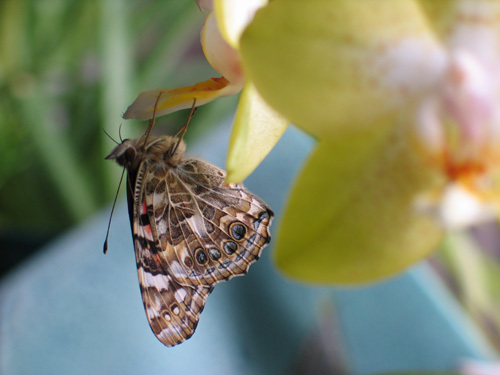 Painted Lady butterfly on a flower after release. 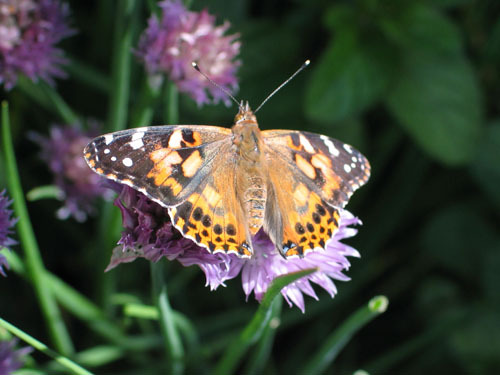 The underside of the painted lady wings are very different from the topside. 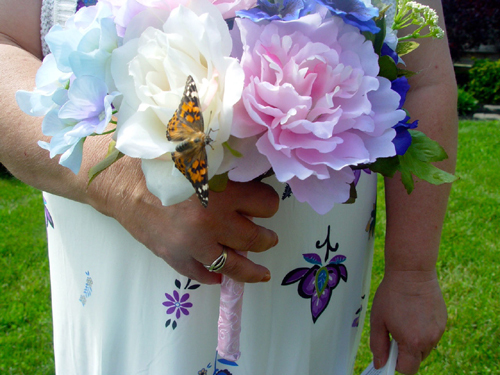 Painted Lady butterfly on the bouquet after a wedding release Thank you Dorcas and Randy! 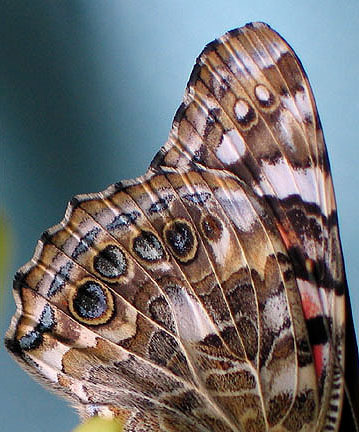 The painted lady wing close up.